Prominent & Leading Manufacturer from Surat, we offer vacuum pump and boiler feed pump. 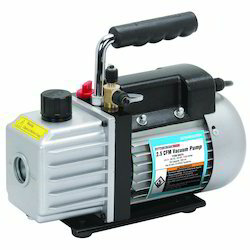 We have marked a distinct and dynamic position in the market by Trader and supplying a high quality array of Vacuum Pump. We offer a wide range of precision engineered Boiler Feed Pump, which are an important part of any boiler operation. Our range of pumps are used to effectively control the amount of water supplied to the boiler. These pumps are provided with dimensionally accurate shafts of special alloy steel engineered to exacting tolerances. Further, they can be used in sprinkler installations, pressure boosting and other general industrial applications.